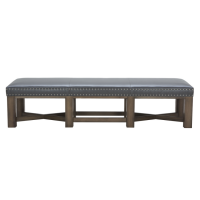 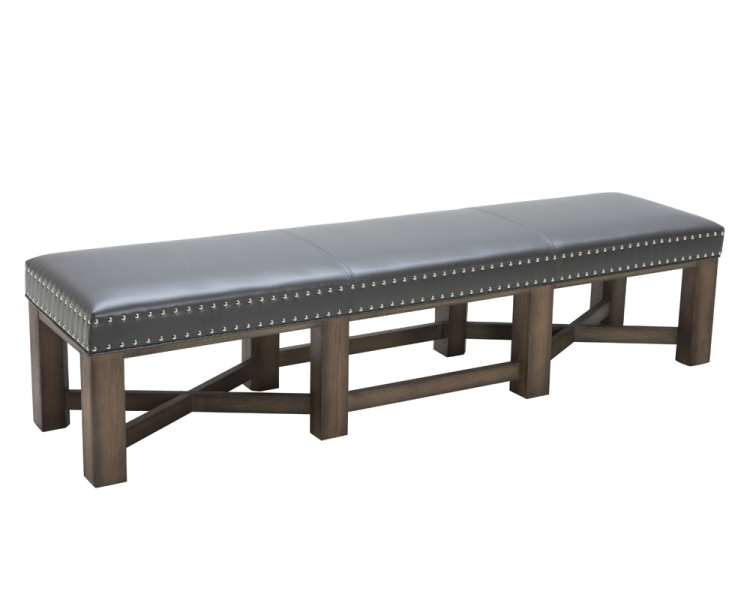 "Resemblant of the medieval era, this impressive bench measures 76""long with our new bold distressed frame. 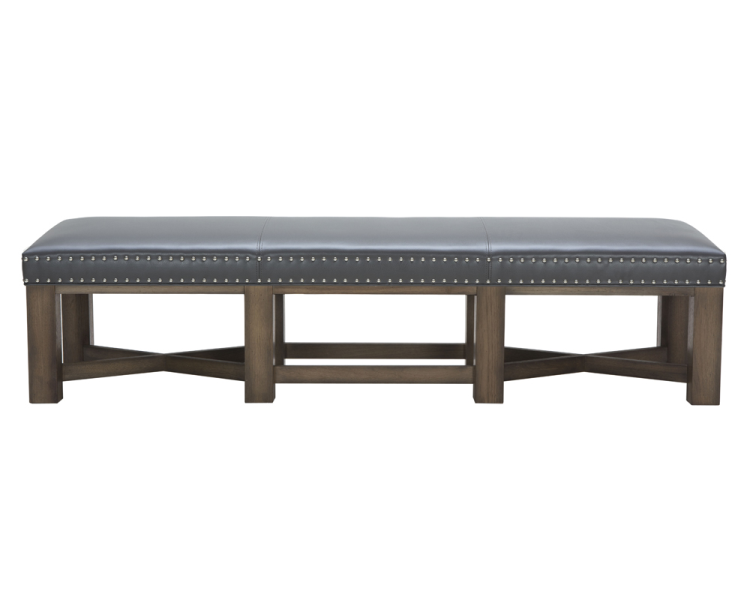 Double row nailhead detailingcompletes this look. 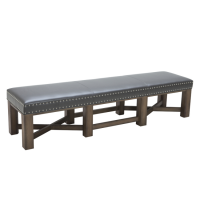 Stocked in grey and ivory bonded leather."